In our perspective developing new equipment is a profitable activity when the bioenergy industry is growing fast worldwide and any solution or adaption can provide replicable information and licenses to an expansive market. We visit your project, analyze crops and resources, transportatin systems and find new ways to change and improve a specific system with existing local resources and our expertise from other regions and industries. Our solutions include new technological improvements of woody and herbaceous lignocelluosic crops harvesting and plantation equipments and the use sofrware for logistic systems. Any bio-industry or biomass to energy business require from different serious consideration of the logistic chains. From agronomy decisions and harvesting to moisture reductions to soil compaction concerns and biomass quality implications, an optimized logistic chain must be addressed. 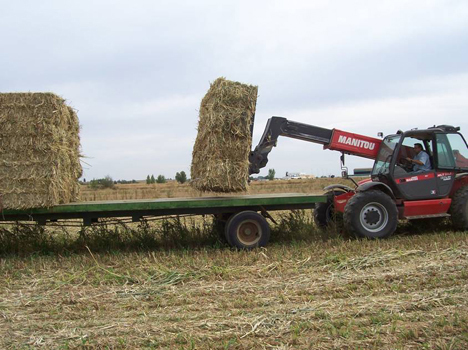 We improve efficiency when collecting residues, drying and handling raw materials and also provide solutions for storage and transportation efficiency reducing delivered feedstock costs. Your bio-industry will efficiency in terms of sustainability certifications and environmental issues but also low inputs and economic costs to be competitive. Our group work using the knowledge and experience of several consultants working on lignocellulosic crops, woody residues, sugarcane industries, tall grasses machinery developments and research and short rotation forestry. Our experts will contact you as soon as possible to provide assistance and tools to optimize your project.